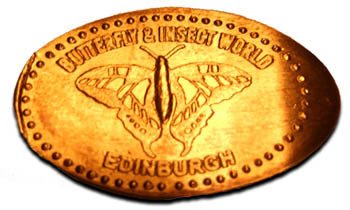 One penny stamped with a Butterfly Fifty Pence for coin. Electronic. In entrance lobby of gift shop (separate building, to the right of the main entrance.